Have you ever wondered why you stay where you are whilst others around you climb the ladder? There are lots of different factors that an employer considers when they choose who to promote – length of service, leadership skills, project management and so on. It can be hard to narrow down where you might be going wrong, and our instant advice would be to speak with your manager. To get straight to the heart of the matter you should discuss your aspirations with your immediate manager, and ask them where you might be going wrong. Once they know your intentions to move up in the company they may be able to offer you the training and support you need to give it a better shot. We’ve all worked with grumpy and miserable people who just seem to drag everyone else around them down to their level. Always complaining and never happy, and for them it will never mean a promotion. There are also some people who fall slightly above this category and don’t complain all the time, but don’t always act in a positive way and are quite pessimistic. In any case, if you fall into one of these two domains you are likely to never see a promotion come knocking on your door. The simple reason for this is that employers always favour a positive worker over someone who relishes in problems. There are often mistakes made on a daily basis, no matter how large or small, and when things go wrong it’s better to remain upbeat and positive. “Many experts agree that those who cultivate a positive attitude greatly enhance their chances of professional advancement,” recruitment experts Kelly Services explain. With a positive mindset you are more likely to achieve better results and solve problems faster. Positive individuals are usually more confident too, which can again yield greater productivity and potentially a more creative mind. Smile, and say good morning to everyone when you arrive. Speak with your colleagues throughout the day and check to see if they want any help. Project a positive and outgoing personality that infects others so they feel better about the day too. This kind of personality trait will not go unnoticed and your boss will certainly be keeping a close eye on your prospects for promotion. Remain calm under pressure and you will be the ‘go to’ person when a problem needs solving. Occasionally things go wrong, and it’s how you deal with it that will not only effect those around you, but also your chances of promotion. Someone who can keep a level head and remain calm and patient will be able to control the situation and come to a quicker resolution. However, if you get stressed and angry with yourself, the situation, a customer or a co-worker, you are not going to win any brownie points. You’ll always be seen as someone to avoid when stressful situations occur, and not someone who will act as an effective team member. The experts at MindTools.com suggest, “When those emotions begin to appear, immediately start your strategy to interrupt the cycle.” They have published a useful guide on ‘Managing Your Emotions at Work’ here. Always remain calm no matter how badly things go wrong, and you will get the green light from your boss. You will be the ‘go to’ person when a problem needs solving, or maybe even a shoulder to cry on. Don’t argue with your colleagues and certainly not the customers, and be someone who other people look up too for guidance. Getting angry in a situation will not help solve the problem, but remaining calm and positive will. Having confidence in your own abilities is an absolute must if you want to get recognised for promotion. If you doubt yourself too much and fail to deliver the goods consistently, you are going to stay right where you are. Having confidence in your self will not only help with your own tasks and deadlines, it will also help others. Providing help and support to your co-workers and working well as part of a team on a project will need that confidence. It will spread amongst the team and will better help others to achieve the same. However, be careful not to get too overconfident to the point of arrogant. Nobody likes to work alongside an arrogant person, and your boss will not feel a promotion would fit your personality. Your arrogance could also cause mistakes to be made when you rush in too quickly. You need to get the right balance to show the boss you’re ready for the next level. If you stick around long enough you will always see change within a company’s structure. It could be a small change, but more often than not it will be a large change which may require you to take on a different role. Other changes could include moving departments, training other team members, or even moving to a new location. Always be flexible and show your employer a willingness to move with the times and understand their decision. You may not always get all the facts and your manager may be struggling with the big change too. Your ability to adapt and stay flexible to fit the company’s needs and move forward with them will be of benefit to both you and the company. “Flexible people are highly prized by managers and businesses. They help to stabilize situations when crisis strikes. They keep objectives achievable and within reach, and they often go the extra mile to support colleagues who are in need of advice or help”, the MindTools.com team explain. If a chance for promotion springs up you could be considered based upon the fact that you are a helpful and selfless person, who acts on behalf of the company’s values. As a manager one of the most important aspects of your job would be to align your self and the team’s efforts to the company’s goals. Don’t wait until you become a manager to suddenly change your stance on this. One of the best ways to get recognised for a promotion is to act like a manager. “The first step in being a leader is acting like one”, explains Jessica Thiefels at Glassdoor. A manager would be expected to see the bigger picture, and focus their efforts with the wider perspective of company goals in mind. Whilst your job would usually daily tasks and (unless you are a senior manager) not typically the larger goals of the company. You will often notice that the person who gets recognised for promotion has their finger on the pulse when it comes to company values and culture. If you take a keen interest in the company’s future by asking questions and offering ideas, you will get noticed for your passion. You are clearly someone who is concerned about the company and not just their own job. Helping others is also a huge part of managing a team, and if you are someone who is able to provide help without being asked on a regular basis, you are heading in the right direction. To gain a promotion you need to show management qualities, which means you need to try and think like a manager. Ask for more responsibility and make it known to your own manager that you are happy to help in other areas. Use your expertise and experience to help new team members, and look outside your own role to support anyone in need. As you progress in your role through training and experience, keep your CV up-to-date so that it fully reflects your current position and acquired skills. Sometimes your employer may advertise new positions both internally and externally, and an up-to-date CV will be required as part of your application. Alternatively, if an opportunity or promotion doesn’t materialise, you’ll have an up-to-the-minute CV at your fingertips, should you see a better position advertised elsewhere. 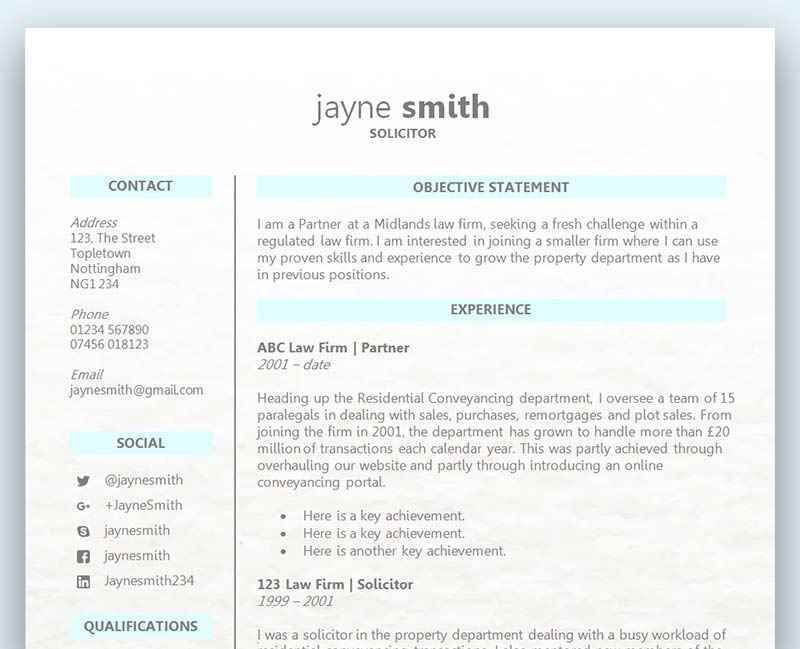 If you’ve been in your position a long time and your CV hasn’t been refreshed, consider switching to a modern layout. Our CV Template Collection includes almost 200 different professional designs for you to choose from, all created in Microsoft Word for easy editing. Are you achieving a good work-life balance? Does your CV make a great first impression? I got an interview but didn’t land the job – why? I am always overlooked for any kind of extra responsibility, I find it so frustrating. I will try and take your tips on board. Sorry to hear that Maria – I do hope by focusing on these traits you have more success.